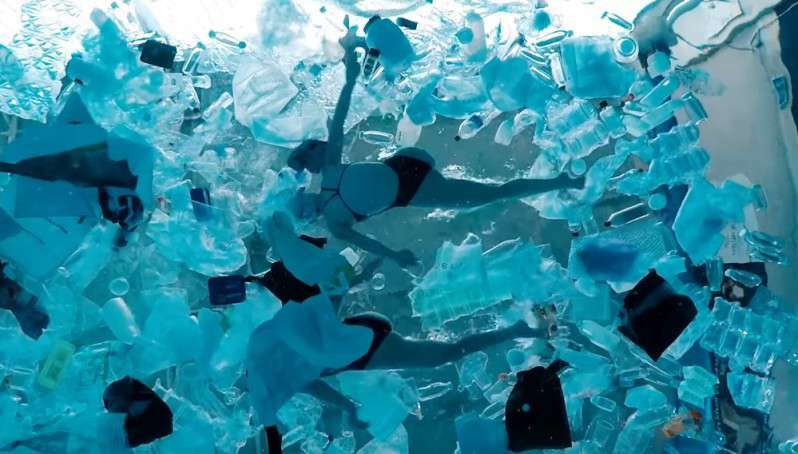 Synchronized Swimmers Perform In A Plastic-Littered Pool To Highlight The Problem Of The World's Oceans! More than 70% of our planet is covered by the world's oceans, and about 8 million tons of garbage is thrown there every year. Not only does the climate but also the entire fragile marine ecosystem suffer greatly. Luckily, the younger generation understands what they are going to inherit and are trying to look for solutions to combat pollution of our oceans. To attract the attention of young researchers, science and engineering fair The Bing Bang Fair 2019 organized an exciting performance with the participation of professional athletes in synchronized swimming. Do you wonder what they could’ve offered? 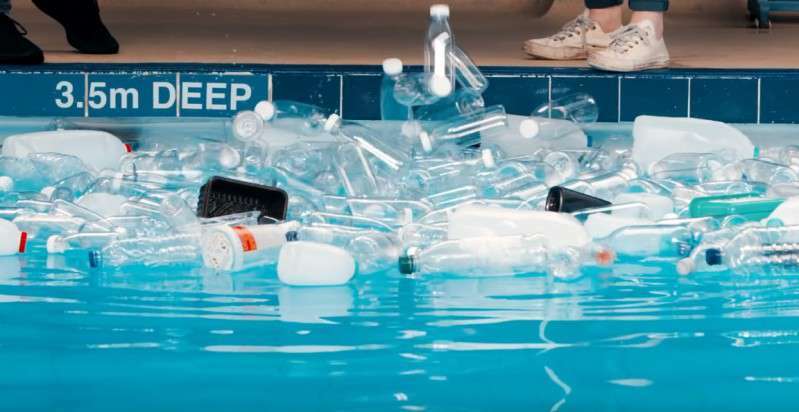 The huge pool was filled with various plastic trash, which has become routine "decor" for the ocean’s inhabitants. Two young athletes performed their usual artistic elements in a pool with plastic obstacles. Despite the difficulties, the girls were able to show all the elegance of their movements. The performance showed how ocean dwellers are forced to exist in an imposed plastic environment. Young forum participants were concerned about the problem and even suggested ways to solve it. 16-year-old Luke De Bretton-Gordon also introduced the material of a unique “edible bottle,” which should help with the waste disposal and decrease the number of plastic containers used. Young people are deeply troubled by the problem of pollution of the world's oceans! We hope that scientists and engineers will be able to return 70% of our planet to its former purity. Such initiatives make more and more people think about the severity of the problem and push towards finding solutions. Don’t be indifferent as well – you, too, can start changing the world by yourself.